Spirits can’t hurt you. Only your thinking* about Spirits can hurt you. That’s something I’ve learned the hard way in this lifetime. My goal as a psychic is to free someone from fear, every day (even if that person is me). Here are three true ghost stories with a happy ending to help you believe in your magical powers again. Seeing 11:11 and repeating numbers can be a sign that Spirits are trying to contact you, which is one of the reasons I’m posting this today. 11:11 means that every one is equal – we are all vibration – you are a powerful healer, as am I. Follow the oneness home, because it’s time to grow up into your light. *I learned this from studying The Work of Byron Katie – it’s never a person that hurts us, it’s our thinking about them. Change your thoughts, end the war within. What I did: I followed my intuition and sat in a corner of the store for 20 minutes, talking quietly to the Spirit. I explained that he was scaring people and that it was time for him to go back to the light. I offered assistance (through visualisation) to help him and felt a sense of calm afterwards. When I checked in with my friend later, she said they had no more incidents, and thanked me. Handy hint: If you come across a confused Spirit (some call them earthbound Spirits), before you freak out and escalate things, talk to them out loud, as if they were a lost tourist in your hometown. Be honest and tell them they are not in the right place. You can picture Angels carrying them home or lifting them into the Sky/ The Sun if that helps. If this doesn’t work, then please call an experienced psychic or energy clearing professional (links are below). You can find someone local (check their reviews or call first if possible),or hire someone to do distance work – I have included links to good psychic mediums below. Spirit is not bound by physical limits, so it’s absolutely possible for psychics to help from afar. 2) There’s A Ghost In My House! Someone contacted me because there was a presence in her lounge room which made her uncomfortable. She hadn’t told many people, in case they thought she was crazy. I noted that she was a 30/3 Spiritual Communicator lifepath, so she’s learning to speak with confidence and trust her gut in this lifetime. Many 3’s are cautious of talking openly about Spirit. This is often a sign they are intuitive but have been taught to fear what can’t be seen. 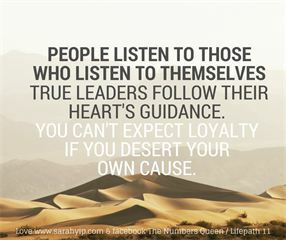 I’ll post a guide to 3 lifepath’s soon on my Find your lifepath page. What I did: The same as in 1). I closed my eyes, tuned in, waited for a sign that Spirit was near and then asked the presence to leave, or at least, stop trying to contact her. She said that this seemed to help and she was able to relax after that. Handy hint: Ghost is a broad term which is used for many ‘invisible visitors’. At times, ghosts could include: people who have passed over, your Spirit Guides, Angels, ET’s (see my post on Starseeds and 11:11), guardians of the land, even animal or plant spirits. People tend to lump them into one category unless they’ve been trained. It’s possible the Spirit haunting my client, was a relative or Guide trying to contact her, or a previous tenant or owner of her rental home etc. Whatever the case, she was well within her right to say, ‘I’m not available’. Spirit will honour our requests, if we make them firmly from the heart with no room for ifs or buts. In rare cases, I have encountered Spirits who refuse to move on (like you see in Hollywood movies), but 95% of the time, they’ve been quite reasonable. 3) Goodbye, Beloved Aunty – I’ve waited almost a year to write about this, as it was so traumatic. One day in January this year, I was in my reading room when I immediately had to lie down. I felt like I was dying. I assumed that this was because my sister was in labour and dismissed it as she soon gave birth to a beautiful girl. Weeks later, I had a vivid dream of my Uncle overseas. He looked deathly pale. I woke up immediately, knowing it was a sign. I have many vivid dreams, but there’s a type that ‘feels like truth’ and this was one of them. See my post on predictive dreams. I texted my family and said ‘is Uncle ok?’ Minutes later, one of my relatives said ‘yes, he is, but your Aunty (his wife) passed away a while back’. Turns out, her heart failed at the exact time on the exact day I had laid down. I went into shock, as this was the Uncle and Aunty I wanted to visit in mid- 2017. I had received repeated signs to go and see them, but wasn’t able to, due to financial restrictions and being pregnant with Charlie. We ended up talking by Skype instead. I had noticed my Aunty wasn’t herself at the time, she was quiet and unusually fragile looking. To cut a long story short, I was angry at my family for months for not telling me about the death, as I adored my Aunty. We shared a lifepath – she was a 20/2 Spiritual Peacemaker and I am a 29/11/2 Spiritual Messenger and both had/ have anxiety and sensitive natures. She was the one, who gave me the dates of birth of my family in 2010 (at my lifepath turning point of 29), so I could finally understand my history, which prompted me to become a numerologist in Brisbane. She was also open to my spiritual work as opposed to others in my family, who are against it for religious reasons. FYI, 2018 is a Universal 11/2 Year of Spiritual Wake Ups, Break Ups and Partnerships, so it was always going to be big for 11’s and 2’s…it certainly started with a big bang for me! On the up side, this saga brought my mother and I closer because she couldn’t believe that I’d had a psychic dream. Although I had seen my Uncle rather than my Aunty’s face, I later understood that it was my Aunty showing me his grief. My Mum and I started talking more freely again, and I ended up finishing my lifepath 8 numerology post in honour of her, which she really liked. I can’t tell you how much that meant to me! She is a 26/8 Spiritual Boss lifepath like other teachers in my life such as Dan Millman (see my psychic reading for him) and Salvatore Battaglia (see his reading). Handy hint: Death doesn’t have to be a tragedy, it’s more like a migration. Sometimes, a Soul simply needs to move on because their healing touch is needed elsewhere on the planet or in the Universe. My Aunty had a truly inspirational effect on the people around her. She couldn’t walk much because of a polio-related limp but had the kindest nature and always spoiled me rotten when I went over. I can still taste her cooking and feel her arms hugging me. If someone you love has passed, please know that they are still thinking of you, especially when you see their face in your head or your dreams, see repeating numbers like 11:11, or smell their perfume etc. That said, it’s important to talk about your feelings as we can also ‘keep them stuck’ if we continuously mourn the past. Please, seek counselling or even see a psychic medium if you need to. It’s the most natural thing in the world to do. In the old days, we had wise elders who could help us in this way but these days, you sometimes need to reach out a little further. Imagine that you were driving a car and a pedestrian was crossing the road. Who’s got more physical power, you or them? Of course it’s you – you have the extra shielding of a car. In the same way, we have nothing to fear from Spirits because they are simply ‘us’ without a human body. Being afraid of ghosts, is like an elephant being afraid of a mouse. The elephant really needs to get a reality check – or at least, a better mirror! Yes – there are occasionally Spirits who may annoy you or do spooky things like bang doors. However, that’s nothing compared to the violence we can potentially inflict on ourselves and other humans. Instead of letting superstitious fears drain you and keep you small, get educated on spiritual topics (e.g. by reading my psychic development posts and books, e.g. 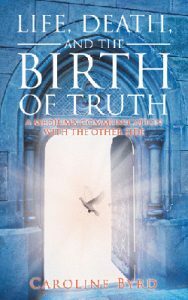 by Dawn Hill or Caroline Byrd – see Life, Death and the Birth of Truth), and get to know your Spiritual Self. Once you form a best friend relationship with your Soul and Guides, nothing will stop you from feeling loved and protected, ever again. As someone who’s gone from being petrified of the dark, ghosts and death to someone who talks to their Soul like a buddy everyday, I promise you – it’s never too late to free yourself. Please note: Although I am a professional psychic, I choose to use numerology and palmistry to guide you rather than mediumship (contacting deceased loved ones). Mediumship is just too emotional for me, especially while I’m breastfeeding and have small kids. All mediums are psychics, but not all psychics work as mediums. I do have Angels, Guides and the occasional baby Spirit or relative come into readings, but my main focus is on helping people who see 11:11 and repeating numbers. Hence why I’ve listed other people below. Caroline Byrd, Intuitive Therapist – Brisbane/ Skype – see my review She’s a 32/5 Spiritual Rebel lifepath. I was inspired to write this post after a call with her this week, thank you Star Sister! You remind me to keep growing and never let the critics win. Disclaimer: I may receive some credit or commission if you book in with Vicki or Deniz, as we are close friends and colleagues who love working together.